ADP: Opel Admiral Convertible 1938 , Adler Autobahn Coupé by Buhne, Adler Autobahn Coupé by Gläser, Opel Kapitän 1950, Sachsenring 240 two-tone. Artitec : Steyr 1500 Kübelwagen/bus. 1273 Ford Taurus - Charcoal Gray, 1274 Ford Taurus - Rose Mist, 1275 Ford Taurus - Toreador Red, 1276 Ford Taurus - Vibrant White. Automobilia: Transkit for Herpa AC Cobra (7871101), transkit for Wiking BMW 328 (7871201). AWM: Renault Clio 3 and 5-door, Peugeot 206CC open + closed versions, Citroën Berlingo, Peugeot Partner, Peugeot 307. Boley: International 9400, Chrysler PT Cruiser. Brekina: Peugeot 404, Volvo Amazon, Ford Transit (1965-1970), Lanz Eilbulldog. Bub: diecast VW T1 bus. Busch: Benz Patent-Motorwagen (1886), Mercedes T (W123, 1977), BMW 327, Ford E350 truck, Fiat Fiorino, Renault 4CV van, Mercedes ML (facelift). Carocar: Ferrari 500 F1/F2, Ferrari 166MM, Ferrari 156 FI, Goliath GP700 SPORT, DKW-Sonderklasse 1951 (2-seater convertible) and Borgward Hansa 1500. CS-Train: Skoda Felicia pickup racing version, Skoda Favorit ambulance. Epoche: NAG K09/4 bus (1931), Tempo Matador pickup. Ferivan: Autobus Fiat-Van Hool 1963. Guisval: Scania trucks of spanish prototypes. High Tech Modell: Porsche 550 Spyder Panamericana, Porsche 550A Spyder 'Targa Florio' 1955, Mercedes 300SLR 'Mille Miglia' 1956, Airstream 2-axle Caravan. HK/Knopp: various new Tatra and Skoda models including the 130RS Coupé. Hruska/Permot: Framo V501/901 (3 versions). Kibri: 11106 CAT Lexion 480 harvester, 11176 Claas Jaguar 880 Corn harvester, 11192 Liebherr R934 tracked excavator with high cab, 11196 Gottwald AK850 crane with accompanying vehicle, 11198 Liebherr LTM1800 crane with accompanying vehicle, 11202 Magirus-Deutz 230D16 tipper (reworked cab), 11250 Atlas 2004LC tracked excavator, 11251 Liebherr 974, 11252 Liebherr 922 wheeled excavator, 11253 Liebherr 974 with ram attachment, 11254 Liebherr 883 tracked excavator, 11255 Zettelmeyer wheelloader with snowplough, 11999 Forestry vehicle set, 12200 MB Actros log transporter, 12201 MB log transporter, 12202 Kaelble wheelloader with grab, 12203 MAN log transporter, 12204 Unimog Euro II with mower and forage wagon, 12205 MB Trac with hedge trimmer, 12206 JCB with rear wood grab, 12207 MB trac with fieldroller, 12208 MB trac with Claas rake, 12209 Fendt Favorit 926 Vario with Raabe plough, 12210 Unimog Euro II with Kemper Unitrans trailer, 12211 Unimog with wood cutter and winch, 12212 CAT Lexion 480 with cornhead, 12997 Class Lexion harvester with Unimog Euro II (harvesting set), 12998 Set of 6 forestry vehicles, 12999 Set of 6 vehicles for storage yard, 13000 Liebherr LTM1800 crane with extended jib, 13001 Liebherr LTM1160/2 crane, 13002 Liebherr LTM1400 crane, 13003 Liebherr LTM1050 crane, 13004 MAN with crane, 13005 Liebherr LTM1400 with extended jib, 13006 Liebherr LTR1800 tracked crane, 13501 MB tractor with lowloader and two Hamm roadrollers, 13502 MAN tractor with lowloader and O&K grader, 13503 set of two MB tractors in Baumann colours, 13504 MB tractor with lowloader and Liebherr R992 tracked excavator, 13505 MB tractor with lowloader and Atlas 1604HD tracked excavator, 13506 Kaelble tractor with Culemeyer, 13507 Generatortransport set, 13800 set of 4 cranes, 13998 set of 5 trucks (wind generator transport), 13999 Heavy transport set, 14000 Fendt Vario Favorit 926 with front shovel and trailer, 14001 MB Unimog with rear grab unit and trailer, 14002 MB Actros tipper truck, 14003 MB Actros tipper with lowloader trailer, 14004 MB Actros tractor with cementtrailer, 14005 MB Actros 'concrete sections transport', 14006 MB SK tractor with tipper trailer, 14007 MB Actros with lowloader, 14008 MB Actros with crane and trailer, 14009 MB Actros 4-axle tipper, 14997 Unimog with snowplough, 14998 Unimog Ruthmann power truck, 14999 MB Actros with wrecker body, 16301 Unimog MOW vehicle, 16300 Atlas 1604 MOW excavator, 18062 Magirus 230D16 with crane. 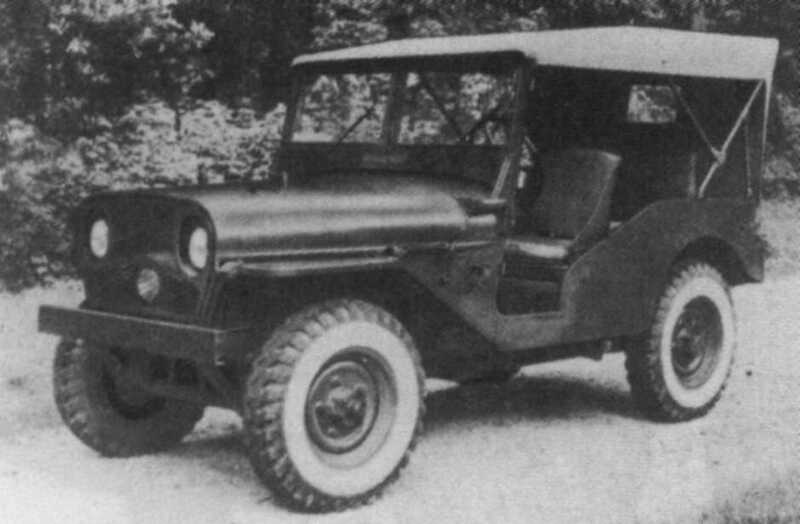 L'Obsidiënne: Farmall Tractor, Delahaye Jeep, Citroën U23 long wheelbase, Saviem SG7. L'Obsidiënne announced a Delahaye Jeep. Marks: Hanomag R435/45 tractor (1954), Liebherr 14A towercrane. Norev: new reissues will include: Simca 1500, Peugeot 204, Citroen Ami 6, Panhard 24 CT and various Unic trucks. NZG: a new series of 87th scale models has been announced at the Nuremberg Toy Fair. The first three models to be released are a Bomag Roadroller, an O&K tracked excavator and a Liebherr wheelloader. Pictures of all models can be found by clicking here: NZG Minis. Prometheus: Monteverdi Sierra, AC 3000ME. Rietze: Citroën C3, Citroën C3 with sunroof, Opel Vectra Limousine, Opel Vectra Caravan, Audi A2 with sunroof, MAN Lions Star bus 2001, Citroën C5, MB Citaro 2-door without AC unit, MB Citaro 2-door 'Überlandversion', MB Citaro 3-door 'Überlandversion', MB Citaro 3-door with fuelcells, MB Citaro 'Gelenkbus' 3- and 4-door versions, Neoplan Starliner in 3-axle version (source: Rietze messageboard). Roco Miniatur-Modell: Roco stopped manufacturing these models last year, but have now decided to begin making some of these models again due to the high demand. All models will be rereleased with simplified prints or even without prints. The following models will soon be available: 1450-Ford FK1000, 1680-Steyr 586 TLF, 1685-MB 4500 LF25, 1686-Magirus TLF16, 1688-Magirus LF16, 1689-MB 4500 DL, 1699-Unimog U2450 6x6, 4000-MAN Multi, 4001-MAN/Rosenbauer Mamba 8x8, 4003-MB 1500 LF, 4004-Unimog S TLF8, 4006-Unimog U1300 with heli-platform, 4007-Unimog U2450L wrecker, 4008-Hummer. Saller: Kleinschnittger F125, Hanomag 10 PS Kommissbrot. Weico Models: BP005 FC Holden Sedan, BP010 XY Ford Falcon, BP026 Morris Minor Sedan 1000. Weinert: 4567 Kaelble LKW K612Z 145 heavy haulage tractor (1952), 4568 1-axle trailer for Lanz, 4569 tracked Lanz 45 PS, 4570 Henschel tipper (1955), 4571 foam/watercannon on 1-axle trailer. Trident: Mercedes LG 315, Ford F350 doublecab. V&V: Skoda 100, GAZ 24 sedan and stationwagon. Wiking: VW Phaeton, Mercedes E-class (W211), Mercedes CLK, Opel Rekord A, MTD lawnmower, MAN TG-A (M-cab), Hanomag R16 tractor, MAN 4R3 tractor. The new Volkswagen Phaeton by Wiking.